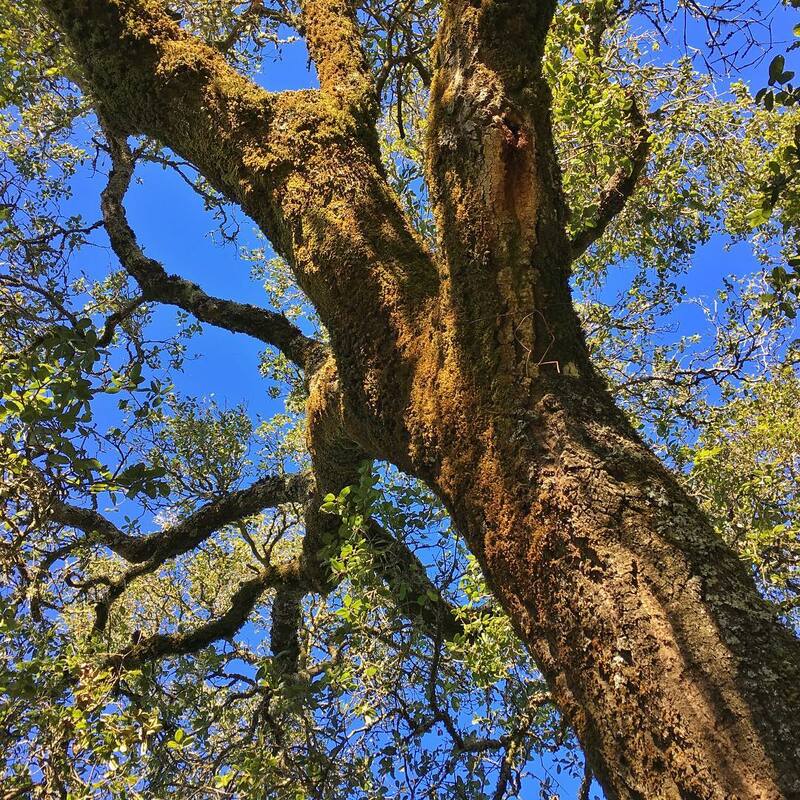 Another surprise park with a summit, this little gem in Shiloh Ranch Park, in Sonoma county, north of San Fransisco, comprises 860 acres of ranch land and forested hills. You can see it from Highway 1010 and not know that the hills are laced with wooden trails up and down the small canyons. At the high point one mighty tree gave shade on a hot Spring day. There were vistas east to the Mayacmas Mountains, and a leafy forest understory with speckled light, but the most interesting image was found just looking upward, through the newly budded leaves to the blue afternoon sky.